The Town of Round Lake was created in 1913 from detached portions of the then existing Towns of Hayward and Lenroot. The first town meeting was held on July 7, 1913. Much of the town’s development is centered on the lakes and rivers. The Town of Round Lake is home to individuals who support local tourism, the recreation industry, its northwoods character and natural beauty. 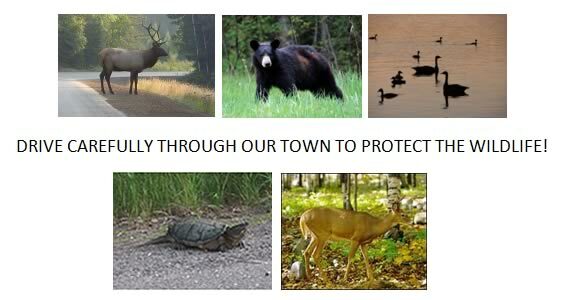 The town covers approximately 76,800 acres of land area of which approximately 80 percent is forest. The town has an abundance of surface waters in lakes, ponds, rivers and streams. In all, the town has 140 miles of shoreline, covering approximately 5,780 acres, and 70 miles of rivers and streams. The town boasts a large number of rich wetland areas. Effective 12:00 p.m. (noon) on Wednesday March 20, 2019 all vehicles operating on Town of Round Lake Roads in Sawyer County will be restricted to 6 ton gross vehicle weight. Town Board Meetings are held the Second Thursday of each month at 6:30 pm. Land Use Plan Commission Meetings are held the last Wednesday of each month at 4:30 pm. All meetings are held at the Town Hall located at 10625 N County Road.